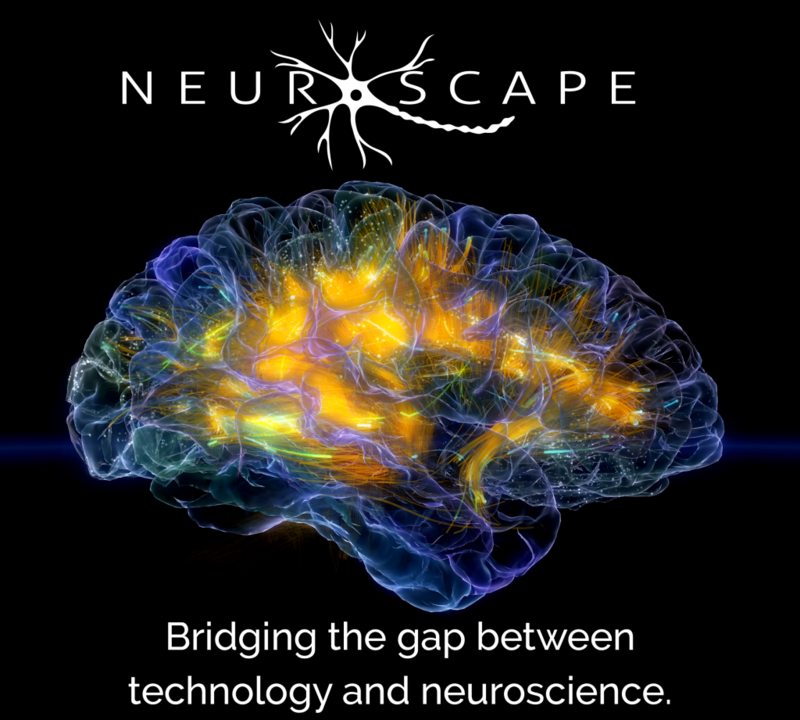 Neuroscape approach couples high-level technological development with rigorous scientific research. This involves both new invention and the integration of emerging consumer technologies with the latest cognitive neuroscience techniques to yield unparalleled mechanistic insights into neural and cognitive function. The inventions and discoveries that surface from this process then guide our broad translational efforts. Our goals to improve quality of life for both healthy and impaired individuals are focused at creating and validating new approaches to better assess and optimize brain function. We propose that the most effective approach to accomplish this is via dynamic interactions with a closed-loop system. In this context, a ‘closed-loop system’ is one where: (1) an individual is challenged by an intervention, (2) the influence the challenge has on the individual is recorded in real-time, (3) these data then immediately update the challenge to be more effective in eliciting the desired response. The cycle then begins again with the updated challenge being reapplied, and real-time data being again collected and used to update the challenge. This closed-loop cycles over and over again – targeting and personalizing the challenge to the individual at every pass. The closed-loop allows for high precision, personalized data to be collected so we can rapidly assess where an individual begins, and how to keep him/her at the edge of their ability for optimal learning. 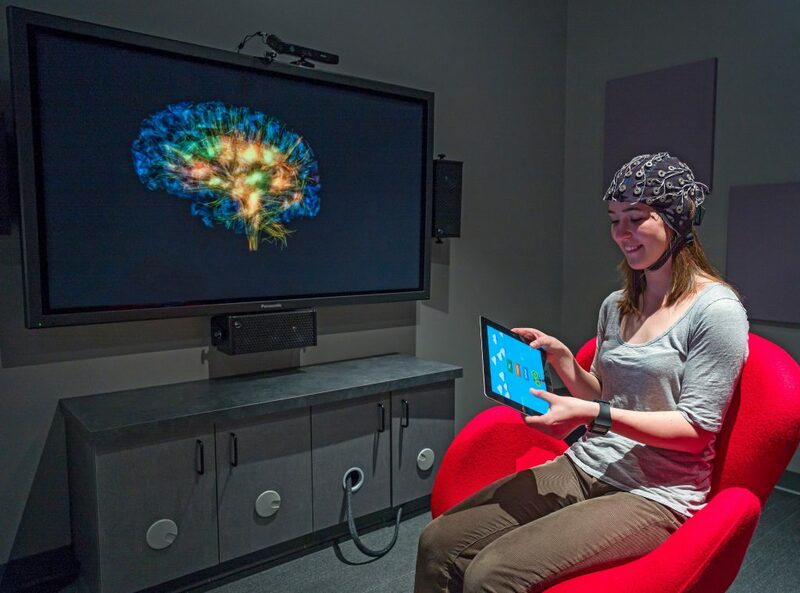 At Neuroscape’s Technology program, we create closed-loops between an individual and custom-designed video games. Video games are an ideal platform to create closed-loop systems, as they are interactive and fun, leading to deep engagement. While our research participants play our closed-loop video games, their performance is recorded in real-time and fed directly into the game engine (input arm of the closed loop).These data adaptively scale the game difficulty appropriate to their abilities and tracks them as their skills improve over time (output arm of the closed loop), thus creating a challenging, personalized experience. The closed-loop also delivers real-time feedback and rewards based on performance, which drives engaging game play that is critical for achieving our assessment and optimization goals. Assessments are yielded via constant performance metrics that are calculated by the game’s algorithms, and optimization is achieved via prolonged game play across a multi-day training program. We use a range of presentation platforms to deliver our video games to achieve different goals. For example, mobile devices reach a broader audience due to their accessibility, while virtual reality devices generate more immersive environments to better emulate real-world experiences. In some of our games, we enhance the positive effects of video game play using motion capture to engage full-body activity and wearable physiological devices (e.g., mobile EEG to record brain activity, and watches to record heart rate and electrodermal activity) to feed richer data about the participant into the closed-loop system. We evaluate how the positive effects of our video games can be enhanced by applying transcranial electrical brain stimulation during game play. Our novel closed-loop technologies are integrated with the latest advances in cognitive neuroscience techniques and analytics. These are then submitted to rigorous empirical studies to assess their impact on brain anatomy, physiology, cognition, stress, mood, sleep, hormones and inflammatory markers. This is accomplished by extensive outcome testing using a comprehensive battery tests performed in Neuroscape Facilities. We also pioneer advances in experimental design, including multimodal biosensing, notably with real-time recording, and the use of mobile assessments as outcome measurements in widely-distributed, double-blinded, randomized, placebo-controlled studies. Research studies are performed with healthy individuals of all ages, as projects within our Neuroscience and Education program, as well as those suffering from neurological and psychiatric conditions in our Clinical program. Anguera, J. A., & Gazzaley, A. (2015). Video games, cognitive exercises, and the enhancement of cognitive abilities. Current Opinion in Behavioral Sciences, 4, 160–165. Mishra, J., & Gazzaley, A. (2014). Closed-Loop Rehabilitation of Age-Related Cognitive Disorders. Seminars in Neurology, 34, 584–590. Mishra, J., & Gazzaley, A. (2015). Closed-loop cognition: the next frontier arrives. Trends in Cognitive Sciences. Mishra, J., Anguera, J. A., & Gazzaley, A. (2016). Video Games for Neuro-Cognitive Optimization. Neuron, 90(2), 214–218.